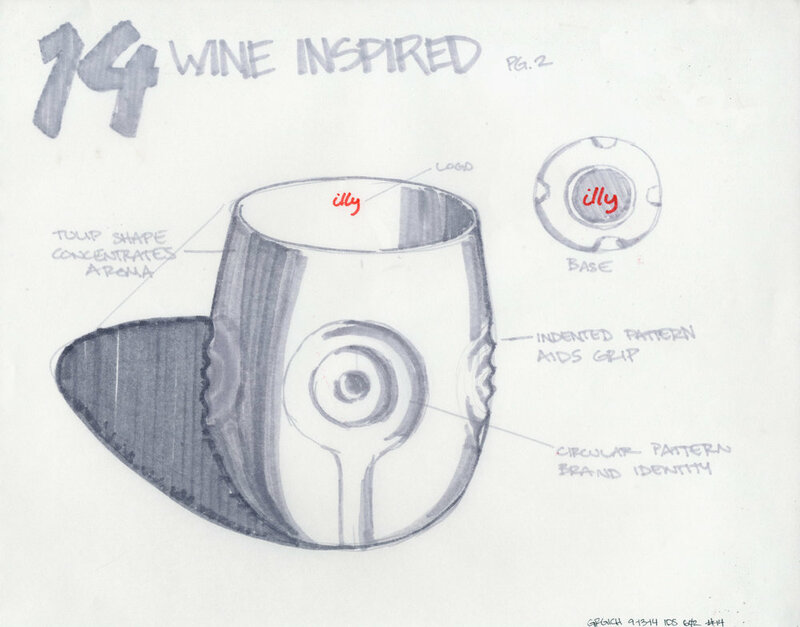 Develop a drinking vessel for the Illy Art Collection. The product should address a market opportunity for the brand. 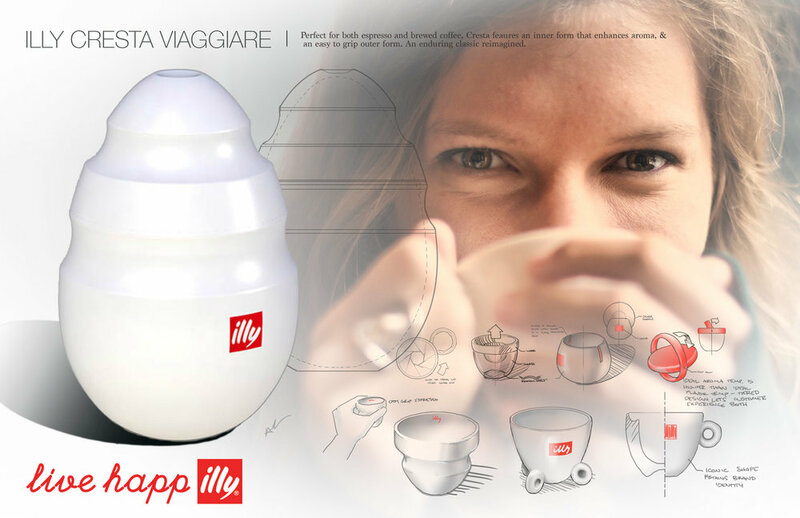 While Illy has considerable market share and presence in European countries, it has room for growth as a brand in the United States. Americans tend towards two coffee categories: 1) specialty beverages from retailers, and 2) bulk coffee purchased at a grocery store, prepared at home. The beverages are often brought with the consumer in paper cups or travel mugs. A distinct travel cup for home brewers that addresses the current American market. 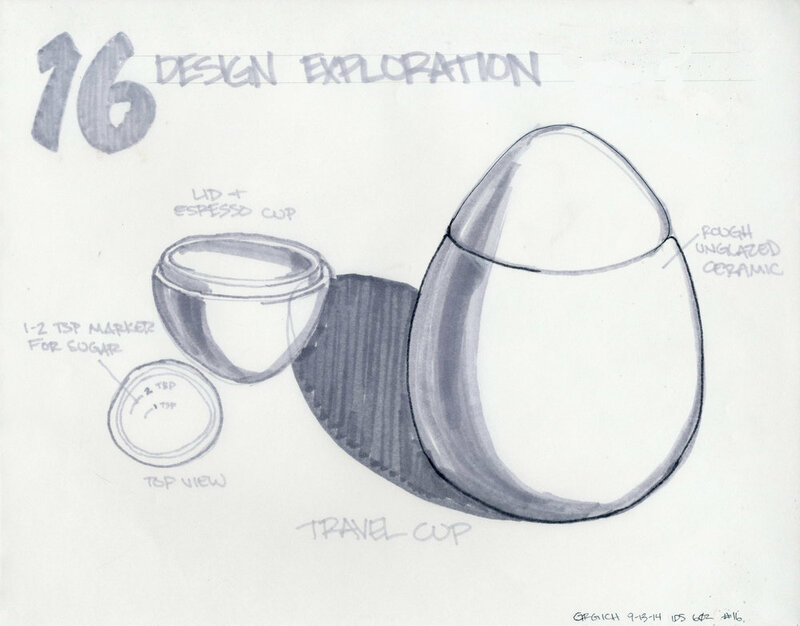 A lidded travel mug, the top of which is proportioned for espresso. The rounded form and rings recall the original, while providing a secure grasp.